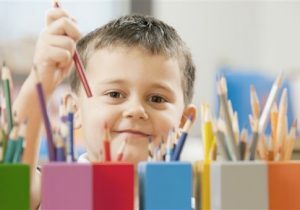 A prestigious military school is providing coloring books for cadets to deal with stress. The Virginia Military Institute, the first state-sponsored military college in the country founded in 1839, offers a "stress busters" program to provide students with yoga classes to "unwind and relax." "Beginning in the 2016-2017 academic year, the Cadet Peer Educators (CPEs) will merge with cadet government under the Cadet Equity Association’s (CEA) Training and Education branch. As such, the formerly known CPEs are now members of CEA," according to a screenshot taken from the school's website. 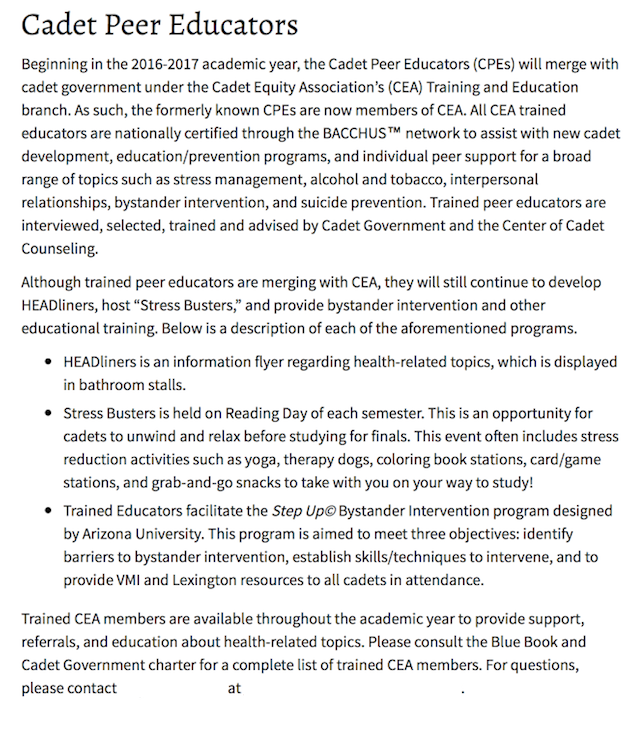 "All CEA trained educators are nationally certified through the BACCHUS™ network to assist with new cadet development, education/prevention programs, and individual peer support for a broad range of topics such as stress management, alcohol and tobacco, interpersonal relationships, bystander intervention, and suicide prevention. Trained peer educators are interviewed, selected, trained and advised by Cadet Government and the Center of Cadet Counseling." The school said "peer educators" will still provide "Stress Busters" programs for students, which includes an event that lets cadets color. "Stress Busters is held on Reading Day of each semester," the school said. "This is an opportunity for cadets to unwind and relax before studying for finals. This event often includes stress reduction activities such as yoga, therapy dogs, coloring book stations, card/game stations, and grab-and-go snacks to take with you on your way to study!" The school's Cadet Peer Educators program offers a "bystander intervention" program to teach cadets to "identify barriers to bystander intervention, establish skills/techniques to intervene, and to provide [Virginia Military Institute] and Lexington resources to all cadets in attendance." The school also posts flyers on health in bathroom stalls. "VMI once took America's youth and prepared them for duty and the harsh realities of war," a VMI alumnus and veteran told the Washington Free Beacon. "Now, for $20k a year, VMI will turn your teenagers back into children." Update 9:17 A.M.: A previous version of this story stated that VMI was a private school. VMI is state-run. Update 9:30 A.M.: This post has been updated with comment from a VMI alumnus. Update 10:52 A.M.: This post has been updated to reflect the fact that VMI removed references to its stress busting program from its website.